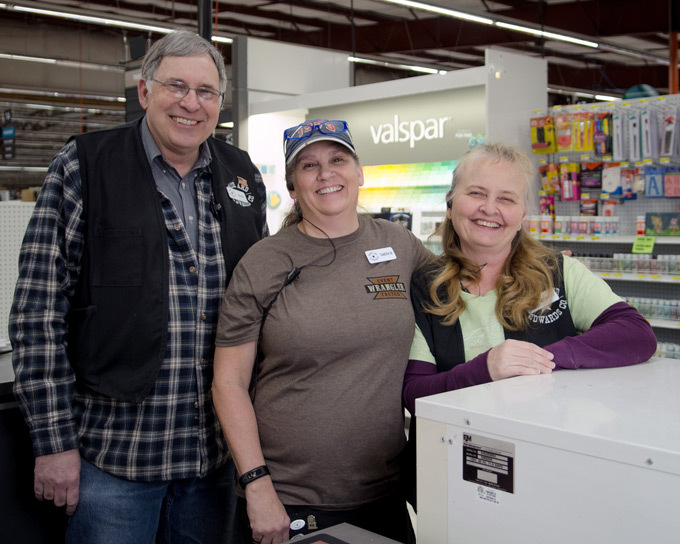 When you're painting a room, painting doors, painting trim, or even painting furniture, our Paint Counter's ready to help. We carry Clark+Kensington and Valspar paints, which are thick paints that work well on all your surfaces at home. 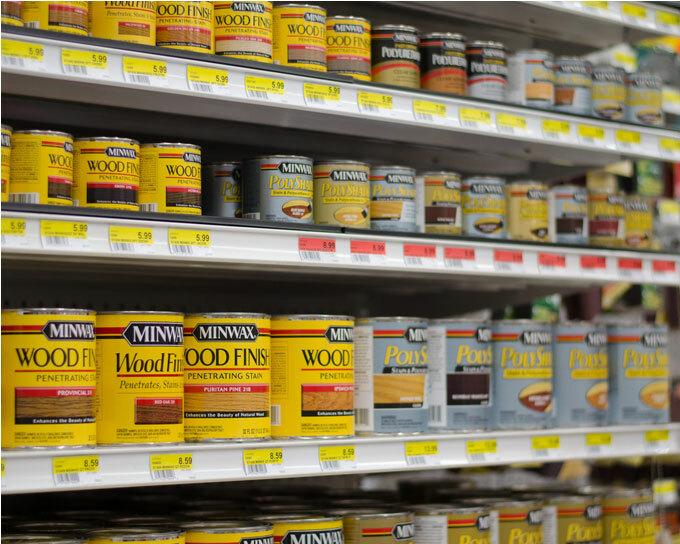 It's easy to find us -- if we're not at the Paint Counter, we're nearby. You won't have to hunt for help. Plus, we can store your paint color choices and what they were for, like the accent wall in the living room, or the downstairs bathroom. That way, if you need more, you don't have to bring in the paint can. We can just look it up for you! 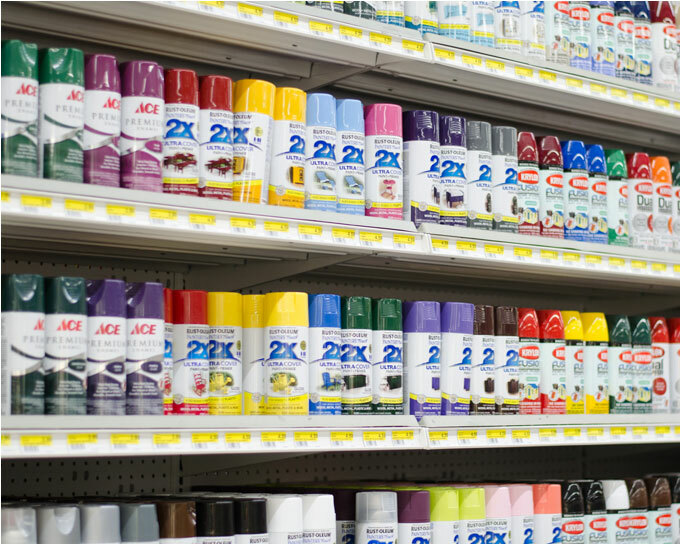 You'll find Krylon Spray paint at Smith & Edwards, in a rainbow of colors. 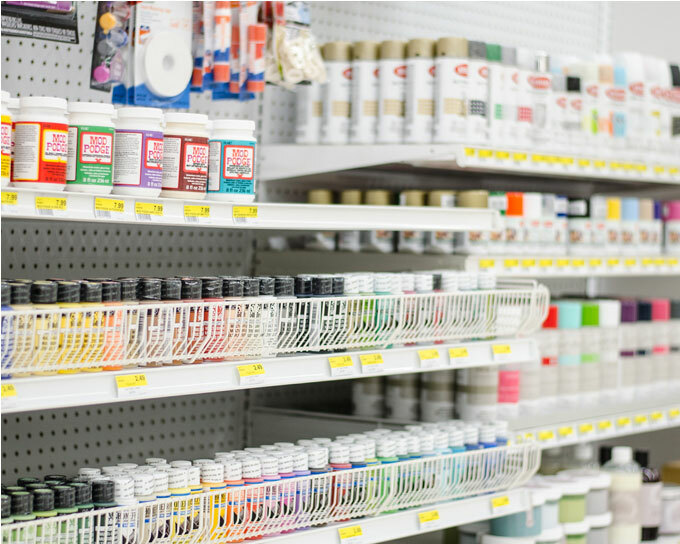 Brand-new at Smith & Edwards, you can now find Mod Podge®, HomeFront and Folk Art craft paint, Amy Howard paints & waxes, and the tools to make it happen. Want to make your home office or kids' room more organized? Make a writeable area! You can choose from chalkboard paint & spray, magnetic paint & spray, and even dry erase paint & spray! Minwax® is the trusted name in wood stain & refinishing. Find the perfect color for your home here. 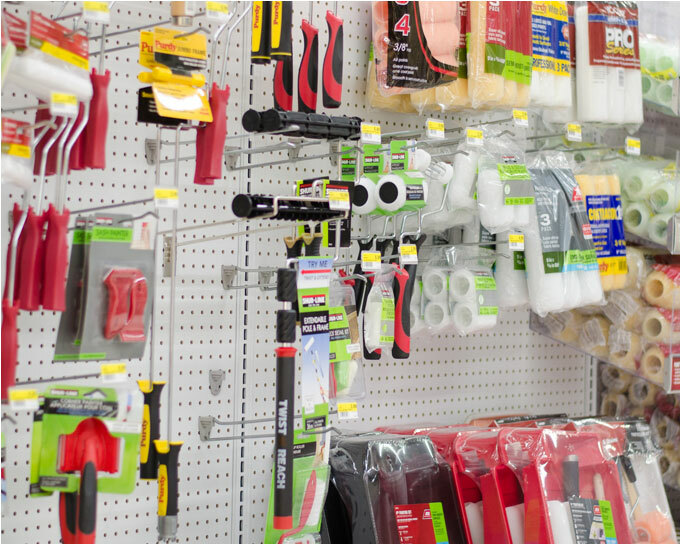 Come in to Smith & Edwards and we'll help you find the paint rollers & brushes, trays, caulk, sanding tools, and masks you need to get the job done.